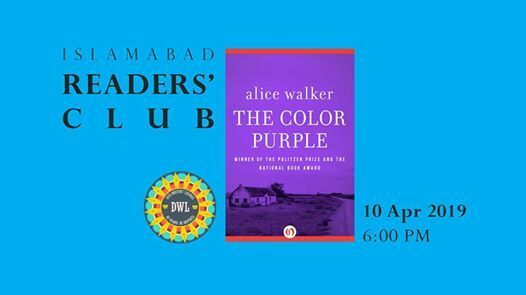 Our fiction book pick for April is US author Alice Walker's novel The Color Purple. 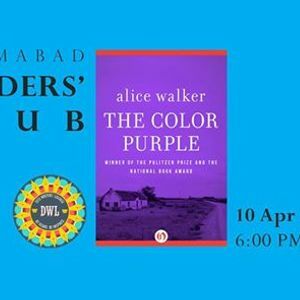 The 1982 Pulitzer Prize-winning novel The Color Purple is considered Alice Walker's masterpiece and is often described as a "powerful novel of courage in the face of oppression". The protagonist and narrator, Celie, is a poor and uneducated teenage black girl in rural Georgia in the early 1900s. She has lived through an unimaginably traumatic childhood. As a teenager, she begins to write letters addressed to God to relieve her suffering. The novel is told through these letters spanning over 20 years. 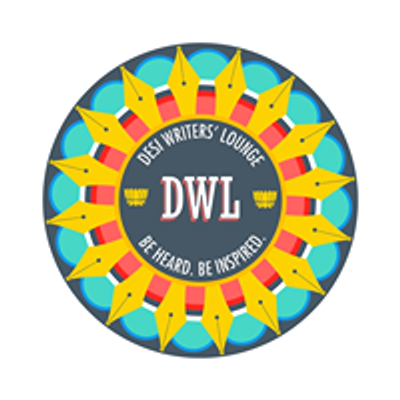 It is a painful and powerful story of discovering self-hood and overcoming violence, and discusses themes including race, religion, structural oppression, and feminism. The novel should be available to order online from local bookstores or check out the old book shops in the twin cities. Also, just a reminder that our Kitaab Circle meeting is at 6pm on 27 March at Loafology cafe in Blue Area. We are reading Everybody Lies by Seth Stephen-Davidowitz. BE AN EXPERT "WEB DESIGNING MASTER COURSE "